ITA is a member-based organization providing support to Indigenous tourism businesses that are independently or community owned or controlled. Membership is renewable each year. 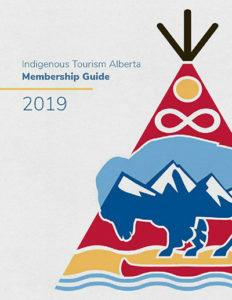 Any Indigenous person or Indigenous organization that has an interest in advancing Indigenous tourism in Alberta may apply to become an ITA Member. 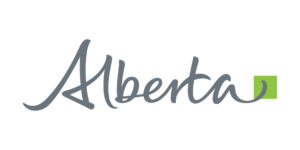 Indigenous Tourism Alberta (ITA) is the provincial destination marketing organization for Indigenous tourism in Alberta. Through innovative partnerships, ITA provides leadership in the development and marketing of authentic Indigenous tourism experiences. ITA’s goal is to create a thriving Indigenous tourism economy sharing authentic, memorable and enriching experiences. ITA is a member-based organization providing support to Indigenous tourism businesses that are independently or community owned or controlled. Membership is renewable each year. 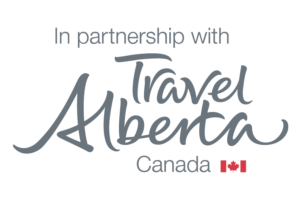 Any Indigenous person or Indigenous organization that has an interest in advancing Indigenous tourism in Alberta may apply to become an ITA Member. ITA also welcomes partnerships with non-Indigenous businesses or organizations. Please contact us at Tarra@IndigenousTourismAlberta.ca for information on ITA partnership opportunities such as program support, shared marketing efforts, or sponsorship of our annual Indigenous Tourism Summit. The ITA Membership Program is designed to provide helpful and useful support that can help you build the success of your business through development & training, marketing and partnerships. Each membership category has specific benefits based on your level of readiness including benefits such as: access to research and studies, access to the ITA AGM, eligible for ITA training and capacity development programs, link on ITA website, eligible for ITA marketing programs and eligible to participate in media and travel trade programs. ITA has established key partnerships to help ITA and its members grow and strengthen their tourism businesses. These partnerships are designed to support ITA members as they work to establish or improve their tourism product. ITA welcomes the important support and industry expertise offered to ITA members from Alberta’s Ministry of Culture and Tourism and Travel Alberta. ITA Voting Rights Deadline: April 1, 2019 – Apply for your FREE ITA membership before April 1, 2019 in order to have voting rights for the 2019-2020 membership year. Please note that In Development Businesses and Visitor-Ready Business categories are not eligible for voting rights. FREE Membership Deadline: October 1, 2019 – Apply before October 1, 2019 to be eligible to receive your FREE ITA membership for the remainder of the 2019-2020 membership year. Reminder – you must apply prior to April 1, 2019 to have voting rights for the 2019-2020 membership year if applicable. There are three categories of ITA membership. Please select the one that most closely matches your current level of business-readiness. Please note that the fees listed below will come into effect April 1, 2020. ITA membership is FREE until March 31, 2020. You do not currently have an active tourism business; your business (or business idea) is in development. You provide visitors an option to pre-book an experience by phone, email or online.